At 12:17 pm, the Relaxo Footwears stock was trading 3.19% or 21 points lower at 666.45. The stock opened at 710 level today. Stocks related to Bollywood actor Salman Khan fell in trade today after a Jodhpur court convicted him in the 20-year-old blackbuck poaching case.Relaxo Footwear, and The Mandhana Retail Ventures were trading lower by 2.65% and 2.11%, respectively on the BSE. Mandhana Retail Ventures fell to 111.4 level falling over 2% on BSE. Salman Khan is the brand ambassador of Relaxo Footwear. He has been launching and promoting the firm's Bahamas collection of footwears. Mandhana Retail Ventures manufactures and sells Salman Khan's Being Human brand of apparel. Mandhana, involved in the business of textiles, entered the retail business after it received the licence for the Being Human Brand from the Salman Khan foundation. Mandhana Retail Ventures made its market debut on December 14, 2016 . It closed with listing gains of 5 percent at Rs 226.80 on the same day. The poaching case involved four other actors: Saif Ali Khan, Tabu, Sonali Bendre and Neelam. All four were acquitted. Salman's lawyer, Hastimal Sarawat, pleaded minimum sentence for the actor which is yet to be announced. The actors, along with a local named Dushyant Singh, were accused of killing two blackbucks, hunting of which is prohibited under the Wildlife Protection Act, in Kankani village in Jodhpur on the night of October 1-2, 1998. 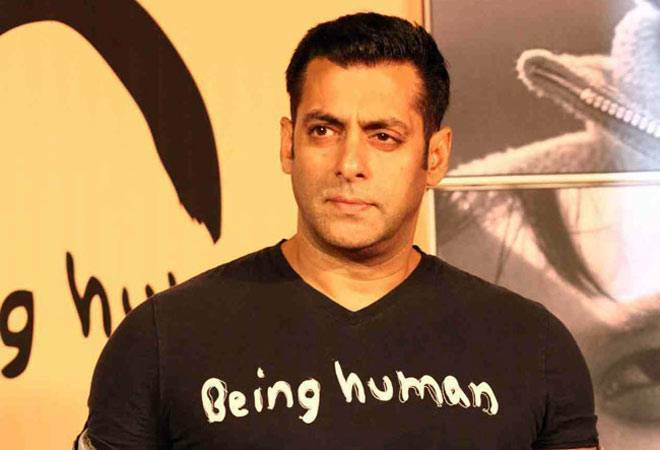 Salman was facing charges under Section 51 of the Wildlife (Protection) Act. Saif Ali Khan and the other actors too were charged under Section 51 of the same act read with Section 149 (unlawful assembly) of the Indian Penal Code.